NCAA Ignition Airbuds - $14.99 - GolfersEdgeOnline.com - Best Golf Equipment On The Web! These premium-quality Ignition Earbuds feature high-quality sound in a compact size. Includes a gold-tipped audio connector for optimum sound. 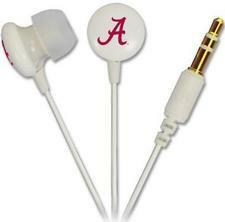 Clear treble and rich bass makes these earbuds a winner for fans and alumni. If you have any more questions about the NCAA Ignition Airbuds ; do not see the model you are looking for; need custom options; or prefer to not purchase online, then please call us at (630) 656-1291.